Each jacket has its role and place in your wardrobe, whether it be for outdoor pursuits in the mountains or stylish evenings in the city. Rain coats are for drizzly days; waterproof shells are for adventuring up mountain peaks; parkas are ideal for harsh winter weather; lightly insulated jackets work as layering pieces or as stand-alone apparel in cooler conditions. But what about the softshells? What are they and where do they fit into your jacket wardrobe? What makes a softshell a softshell? What are the differences between softshells & waterproof shells? What are the differences between softshells & fleeces? So, What is a Softshell? Originally introduced to the outdoor apparel world in the mid-2000s, softshell jackets were designed as a hybrid between a waterproof shell and a highly breathable fleece. They were originally intended for high-intensity aerobic activities, and every ski, snowboard, and outerwear brand around the year 2003 was manufacturing them – then all of a sudden they disappeared. But now they’re back, and highly technical brands like Arc’teryx, Mountain Hardwear, and Outdoor Research are making them, and demand for these jackets is growing. Softshells are usually made from a combination of materials such as polyester and nylon, which are woven together for durability and comfort. These materials make up most outdoor apparel and gear, and aren’t quite 100% waterproof, but are highly breathable, wear well against the skin, and last a long time. 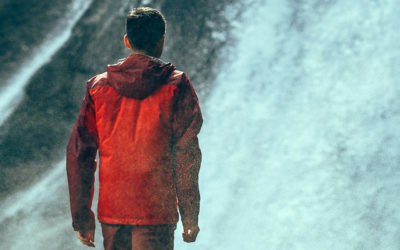 Those looking for a technical jacket that can withstand a variety of conditions while still providing mobile protection are once again reaching for their favourite softshell. So what’s the fuss about softshell jackets? As mentioned above, they are an ideal layering piece. Whether you’re mountaineering, climbing, or ski touring, softshells are designed to perform during high-output activities. Therefore, if you enjoy spending time outside, you’re probably going to want to have at least one softshell in your wardrobe. The main features that make up these versatile jackets include being water and wind-resistant, breathable, and stretchy. All of which are features will enhance your performance during your chosen outdoor activity. Like most technical pieces of clothing, there are multiple variations of one particular style. Take rain jackets, for example, when you’re searching for the perfect raincoat, you’ll discover the 2L, the 2.5L and the 3L. They’re all rain jackets, but they have slightly different features and will be made up in a somewhat different way. The same goes for softshells. There are multiple variations, and each will excel for various reasons. Stretch-woven softshell jackets are the most common and work as an ideal mid-layer under a waterproof shell or stand-alone layer in warmer temperature. 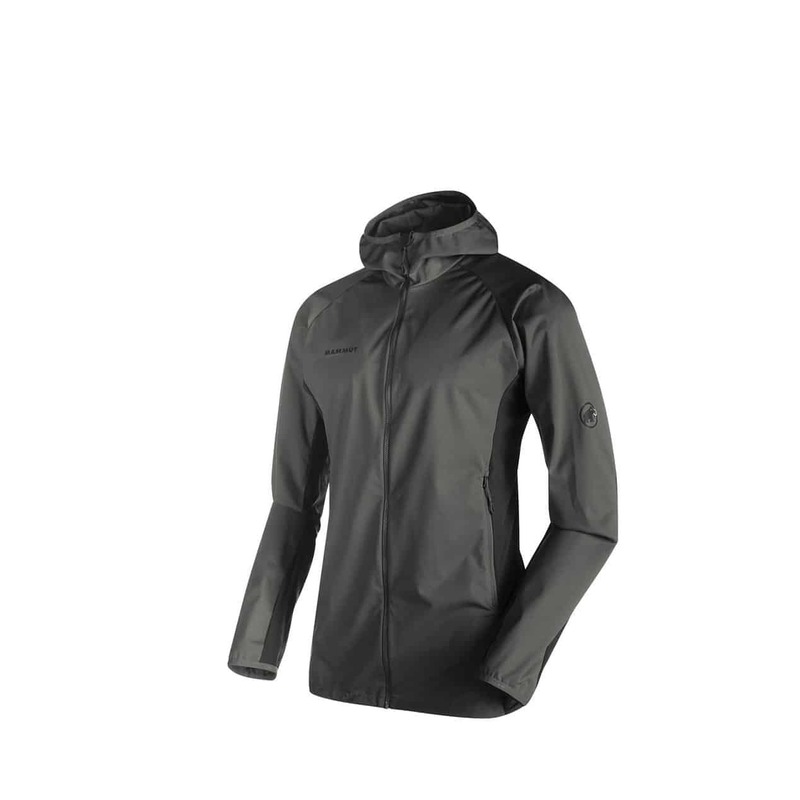 They have wind-resistant and water-repellent outer layers with highly breathable inners. The breathable layer is efficient enough at keeping wearers dry while backpacking, cycling, or even cross-country skiing during light precipitation. Laminated soft shells are designed for colder and wetter conditions. 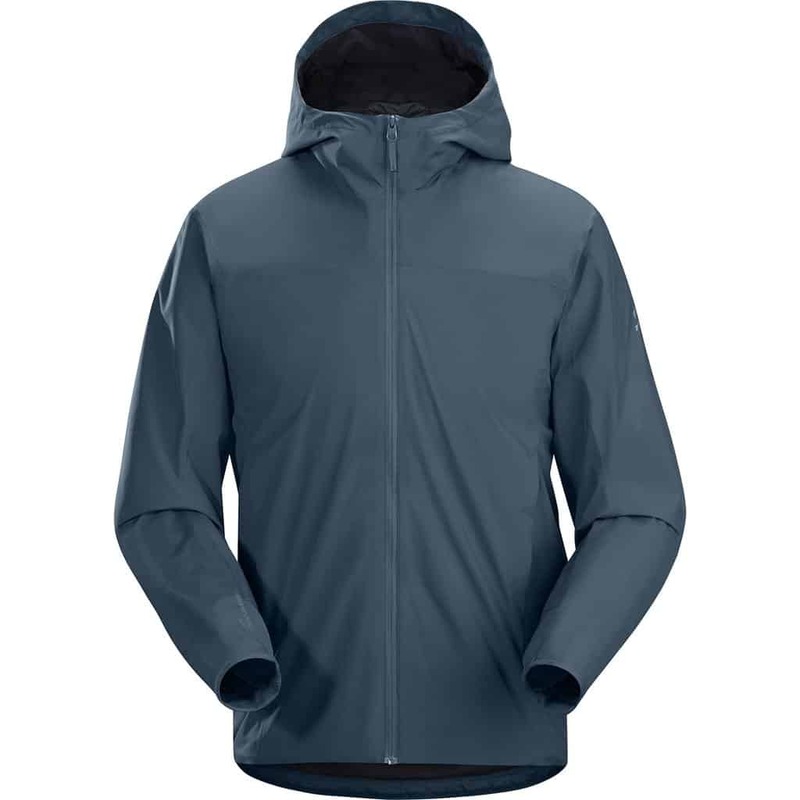 These jackets are outfitted with water and windproof laminates that allow them to hold up in harsher conditions, keeping wearers dry and comfortable. Laminated softshells share similar features with waterproof shells or hardshells, being slightly heavier and a little less breathable. For someone who is more concerned with weather protection, a laminated softshell is the right choice due to their taped seams and waterproof membranes. Hybrid softshells combine features from lightweight stretch-woven softshells with the weather protection of laminated softshells, making them more durable and performant. Robust, laminated fabrics will make up high abrasion areas such as the core and the shoulders, while more breathable fabrics will make up hot zones like under the arms and back. Hybrid softshells utilizes a mixture of fabrics to provide exceptional breathability and rugged protection for all your favorite outdoor activities. Although there are three types of softshells listed above, the two main categories are stretch-woven and membrane softshells. Laminated softshells and hybrid fall under the membrane category, whereas lightweight stretch-woven softshells remain in the stretch-woven category. Membrane softshells are more robust than lightweight stretch-woven softshells and will be more appealing for those more concerned about weather protection rather than breathability. A membrane softshell is ideal for people who spend a lot of time outside in wet weather where a water protection is a must. If a hybrid softshell is nearly the same as a waterproof shell or hardshell, how do you decipher the difference between a softshell and a waterproof shell? Their key difference is breathability. No matter how technical a waterproof shell is, there will always be a small amount of water vapour that will remain trapped inside the garment. 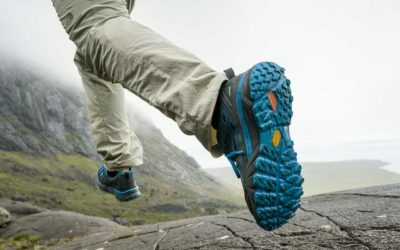 When you’re out hiking or running, it’s this vapour on the inside that will leave you feeling clammy and damp, and not the lack of waterproof materials. Most waterproof shells will be made up of a woven face fabric which is then laminated to a waterproof membrane or a microporous coating, whereas most softshells will use a DWR coating. The most common waterproof membrane you will see is GORE-TEX® and conventional microporous coatings including HyVent, PreCip and Dry.Q™. All of these waterproof technologies will keep water from penetrating the garment but have lesser breathability properties. Another difference is packability. 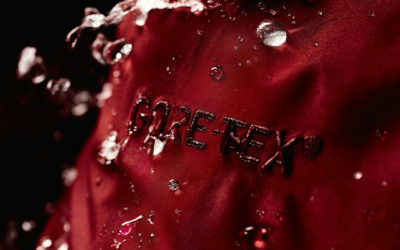 Most technical waterproof shells are designed to be highly packable. On the other hand, softshells tend to be less packable, as they are designed to be mid-layers or insulations pieces. They are often made of fleece materials that feel softer against the skin. Bottomline, the key feature of a waterproof shell or hardshell is its waterproofness and weather protection, whereas the number one feature of a softshell is breathability. Before we get started, what is a fleece? While it is the woolly coat of a goat or sheep, it is also a type of jacket made from soft-napped, insulating fabric. Generally, this insulating fabric is made from polyester synthetic Polar Fleece. With Windstopper fleece as the exception, fleeces are neither wind nor water resistant although they are highly breathable. This is what makes them such an ideal layering piece. Although many softshells are made from some fleece fabrics, they are quite different from your basic fleece sweat-shirt. Where a fleece will often pill or produce lint, a softshell will remain intact due to its hardshell fabric construction. Fleeces are also surprisingly magnetic to pet hair, while ‘harder’ Softshells don’t attract as much hair. Bottomline, fleeces are highly breathable but lack the additional wind and water resistance that softshells excel in. At the end of the day, your softshell won’t replace your durable waterproof shell that withstands rain, snow, and slush but it will keep you warm and dry during aerobic activities even through damp and windy conditions. Softshells are designed to be flexible and stretchy so that you can easily layer up and still move comfortably for a variety of high-output activities. 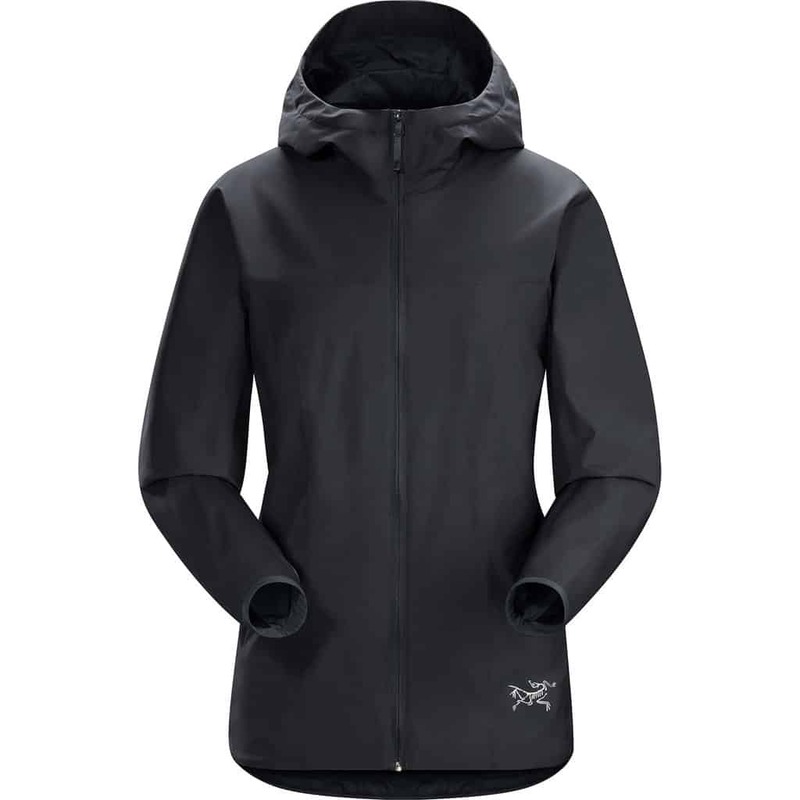 If you’re new to the outdoor lifestyle, a softshell should be one of your first purchases. If you’re a veteran, well you probably already have a couple of trusty softshells stored in the back of your closet, waiting to be taken on an outdoor adventure. There is 2 thoughts on this article titled “What is a Softshell?”. 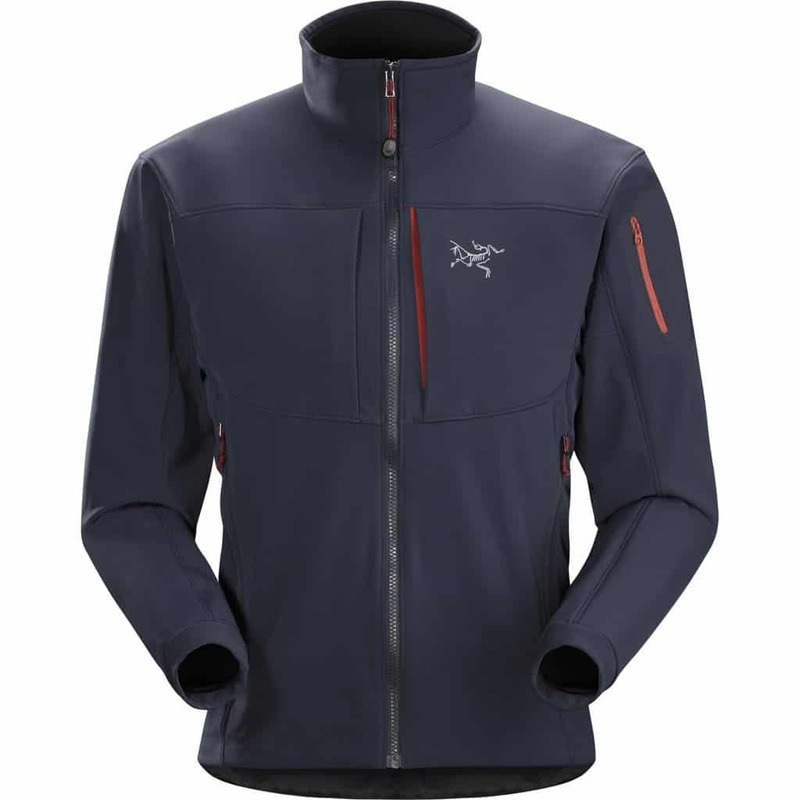 Breathability should be the main concern when purchasing a softshell. 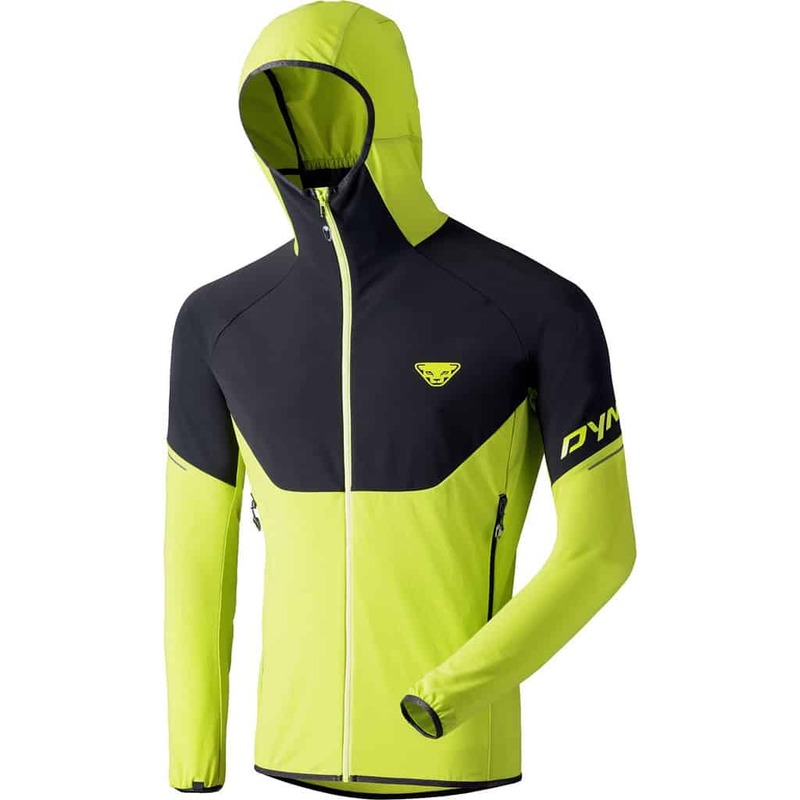 Yes, you want some weather and wind resistance, but not if breathability is heavily degraded. Softshells are also luxury items. Don’t build your layering system around a softshell. Get a good fleece, insulated jacket and hardshell first. This combination will handle more varied and extreme weather conditions than a softshell centered system. the earliest Softshells were made by a british company called Buffalo; the concept was popularised by Mark Twight with the idea of the ‘action suit’ in his book Extreme Alpinism. I would argue (and this is a matter of opinion) that the reason softshells died off after the early 2000s hype was because many of them were rubbish – a softshell should give enough insulation and breathability to be more comfortable than a hardshell when moving around outside wet conditions, but many of the ‘sharkskin’ type softshells were neither particularly warm nor breathable. 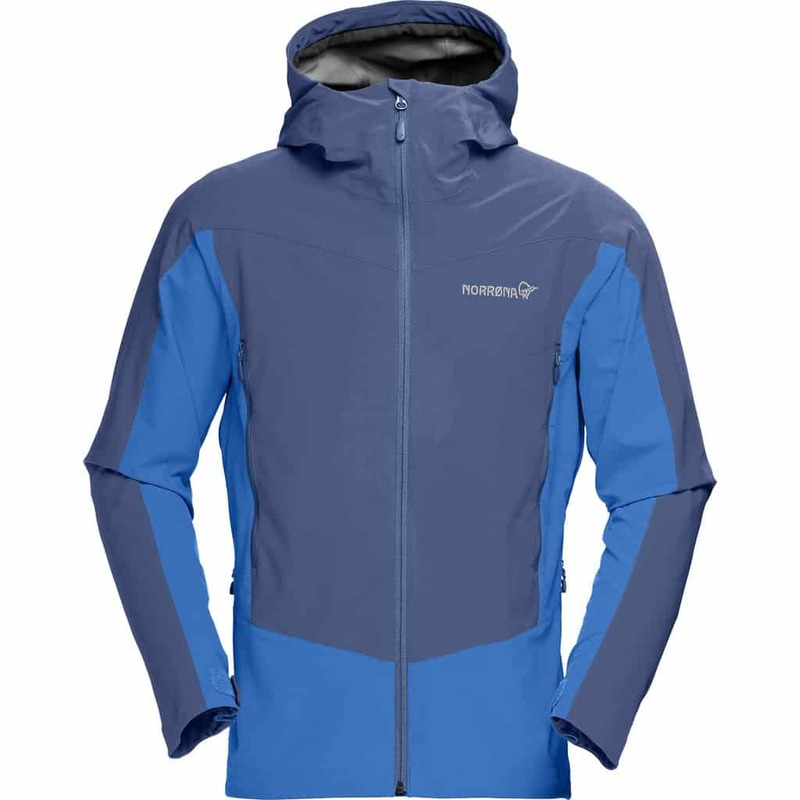 A jacket like the Rab Vapourrise, on the other hand, is an excellent example. Not quite waterproof but protective enough to keep the wearer warm, and breathable enough to stop them overheating even when active. Interestingly, the VapourRise uses a pertex face material – just like the original Buffalo shirts!